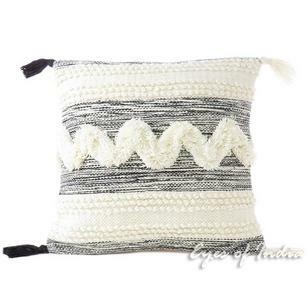 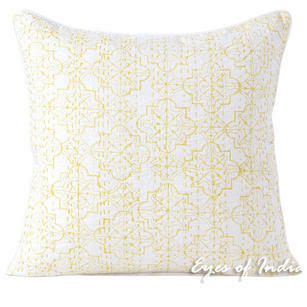 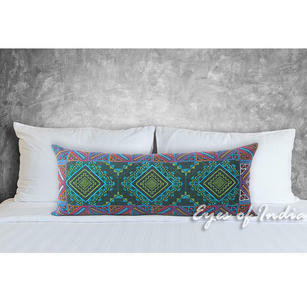 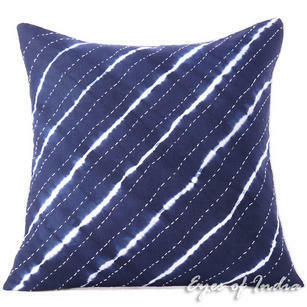 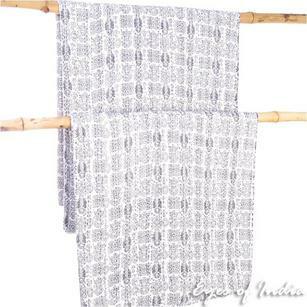 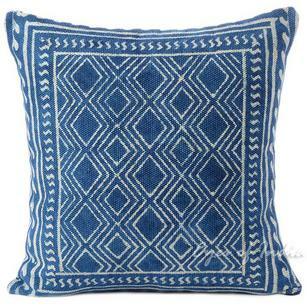 At Eyes of India, we work incredibly closely with Artisans - who supply us with a stunning range of pillows & cushion covers which are all hand made. 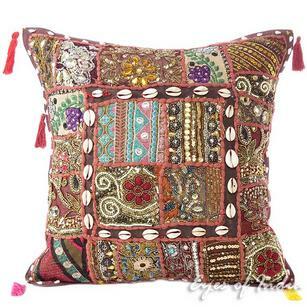 Drawing upon numerous types of skills and craft, and using a massive range of unique materials, these cushions boast fantastic textures, patterns and embroidery. 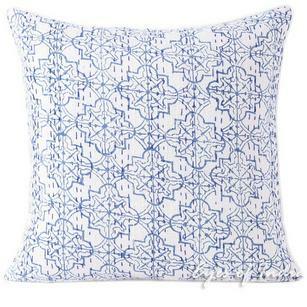 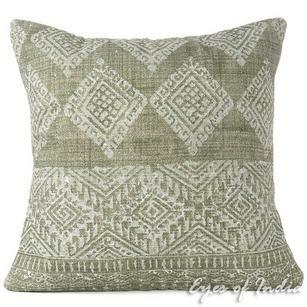 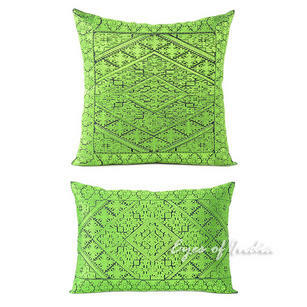 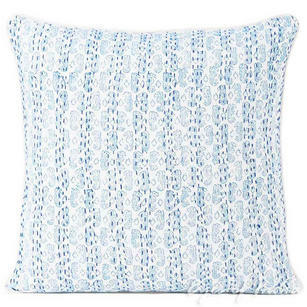 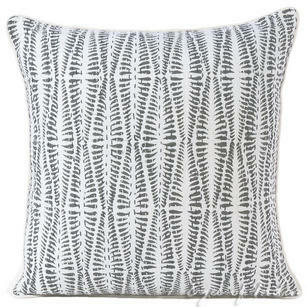 Because of their boho design, these cushions make fantastic centerpieces in homes of all styles and are perfectly suited to use on both beds and sofas. 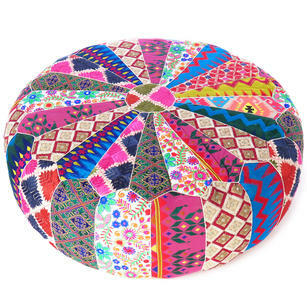 Many of our customers just scatter these cushions on the floor for the ultimate chilled out vibe! 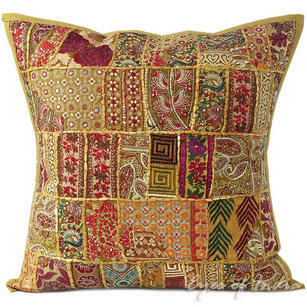 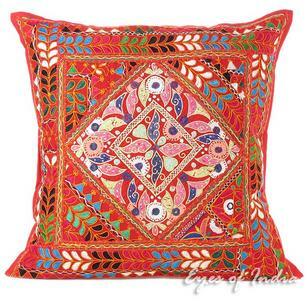 As a brief overview, pillows and cushions which have been categorized as 'textured' include Kantha, Chindi, Pakka, Velvet, Swati and Patchwork Cushions. 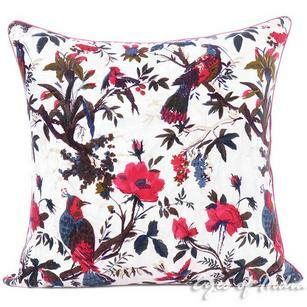 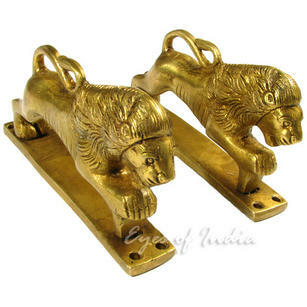 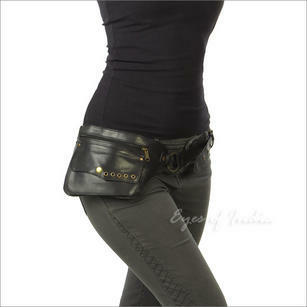 You can view the full range below, and just get in touch if you have any questions about the collection. 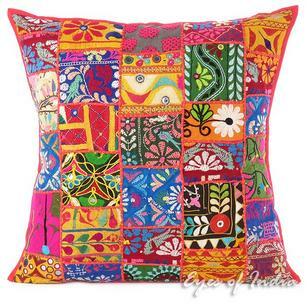 Pink Velvet Colorful Decorative Bird Throw Sofa Boho Bohemian Cushion Couch Pillow Cover - 16", 20", 24"
Indigo Blue Boho Kantha Cushion Bohemian Colorful Decorative Shibori Couch Pillow Throw Cover Sofa - 20"
Red Patchwork Colorful Decorative Sofa Throw Couch Pillow Cushion Bohemian Boho Cover - 24"
Green Boho Bohemian Velvet Colorful Decorative Bird Throw Sofa Cushion Couch Pillow Cover - 16", 20", 24"